Irish Butterflies - Recommended Locations to see Butterflies in Ireland. Although butterflies can seen throughout the country, there are some places in Ireland where a larger number of species can be seen. A few of the best locations in Ireland are shown below. It is possible, with a little luck and good timing, to see all of the Irish species by visiting all of the locations below. 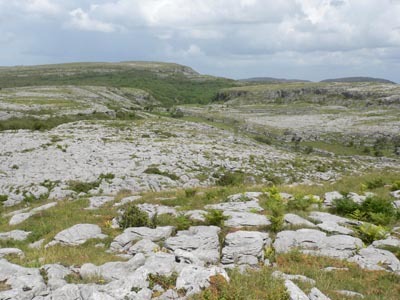 The magnificant rocky landscape of the Burren is home to more species of butterflies than any other region in Ireland. Indeed, one species, the Pearl-bordered Fritillary, is only found in this region and the Brown Hairstreak is only found here and neighbouring areas. The Green Road: and its environs are good areas to see all four Irish species of Fritillary, including the rare Pearl-bordered Fritillary. Dromore Wood: provides patient visitors a chance to see the scarce Brown Hairstreak (not easy to find), and several other species, including the Brimstone (can be very numerous here at times). Ballyeighter Wood: contains some Purple Hairstreaks. 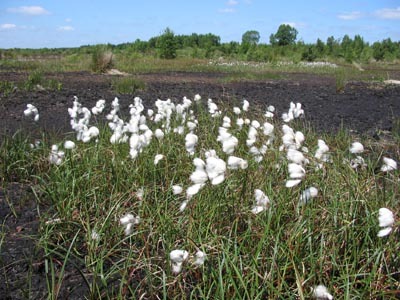 The Bog of Allen consists of several bogs spread out over a large area (sections in four counties). These bogs are raised bogs, a flora and fauna rich habitat that is currently under threat due to draining and excessive harvesting of peat. Lullymore Bog: in County Kildare has numerous Marsh Fritillaries, Dingy Skippers , Small Heaths and other species. The Large Heath can also be found within the Bog of Allen region. NB The Irish Peatland Conservation Council (IPCC) should be contacted prior to any visits. 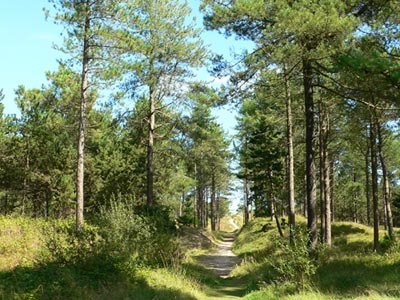 The Raven is located just south of Curracloe, a long narrow sand spit on which trees were planted to protect the dunes from washing away. The now mature wood provides a suitable habitat for many butterflies, including the Gatekeeper, Small Blue and the occassional rare Comma. Note that within the same county, near Lake Tacumshin, the recently discovered Essex Skipper may be seen.